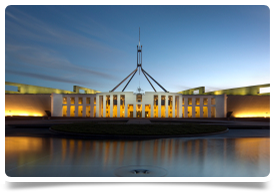 Canberra; Australia's Capital city...modern, cultural and a simply a great place to live! This modern well equipped bulk billing clinic situated within a busy shopping centre in a suburb around 15 minutes drive from Canberra's central business district. The prime location means that the practice sees a constant flow of patients and has an established patient bases as well as attracting new families as they move into the area. The practice is independently owned by an experienced manager who already owns and manages other successful clinics, so there is a wealth of experience behind this clinic. The centre is equipped with the latest technology. It accommodates 4 doctors rooms, a treatment room, in-house Pathology, a large waiting room, a back office, staff kitchen and bathroom and a disabled toilet as well. Nurse and administrative support and well trained receptionist staff make the centre a patient-friendly place and create an efficient and pleasant work environment for doctors. Allied health professionals also work in the practice on a regular basis. The willingness to participate in the after hours will be required although a full time working week should be around 38 – 40 hours per week. Once fully established you can expect to be earning in the region of $400k - $450kk plus pa.
To be considered for this position you must have MRCGP / PMETB / CCT or FRACGP/FACRRM.